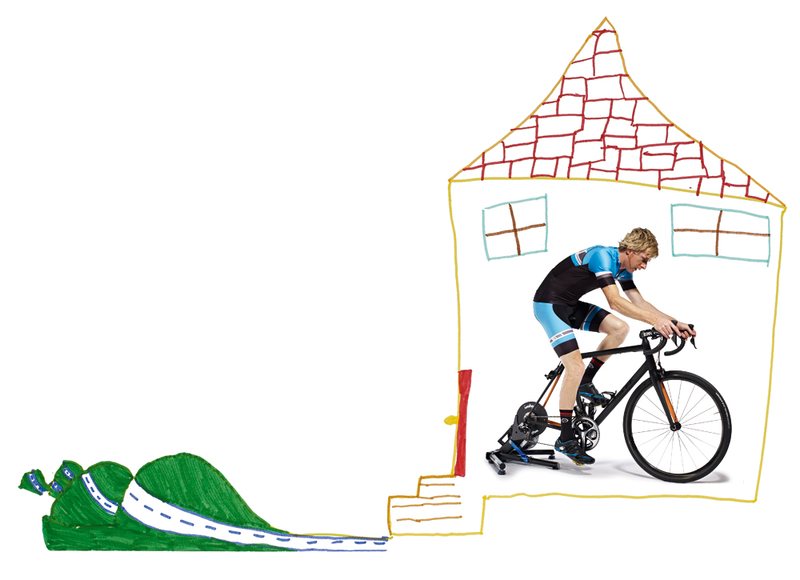 Indoor training is highly effective but mind-numbingly dull. 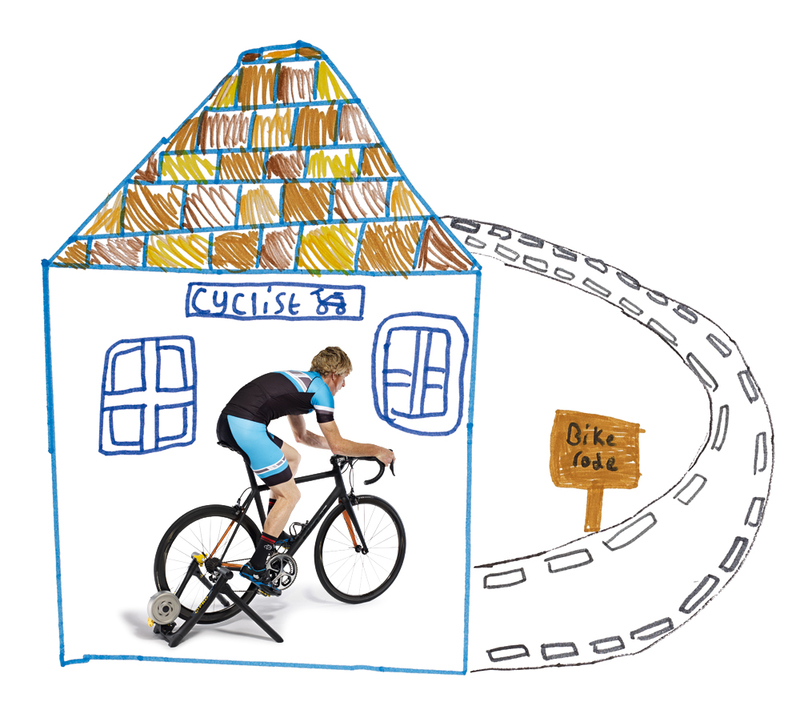 Can the latest breed of turbo trainers make the house-bound cycling experience almost as rewarding as the real thing? On display in the National Technical Museum in Prague is quite possibly the world’s oldest turbo trainer. Built in 1884, it was modelled on a penny-farthing with an enormous flywheel. It even offered controllable resistance in theform of hanging weights. For the best part of the century that followed, indoor training didn’t change much – riders would stare at a wall while a pool of sweat formed on the floor beneath them – but in recent years technology has created ways to escape the monotony of the turbo session. 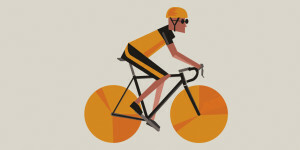 Increasingly, training for cycling has become about the use of data. Speed, heart rate and cadence started the ball rolling, while GPS and power meters have ushered in an era where the data we can collect on smartphones would put the pros of decades past to shame. Gaetano Mercante, R&D engineer with turbo trainer manufacturer Elite, explains how that has seeped into the indoor market: ‘People are using Garmin GPS devices and more people are using power meters, generating bundles of data. Customers now want similar feedback from trainers – the ability to track speed, power, distance.’ Indeed, the variety of data now available is not only more effectively put to use in controlled indoor environments but also provides much needed distraction when pain or boredom kicks in. But man cannot live on data alone. One of the important advantages of power meters is the structure they can give to training plans. 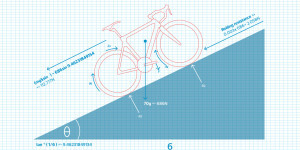 A key area of advancement is the use of this data to create training regimes that are interactive, motivational, entertaining and, ultimately, able to replicate real-world rides. And that he did. 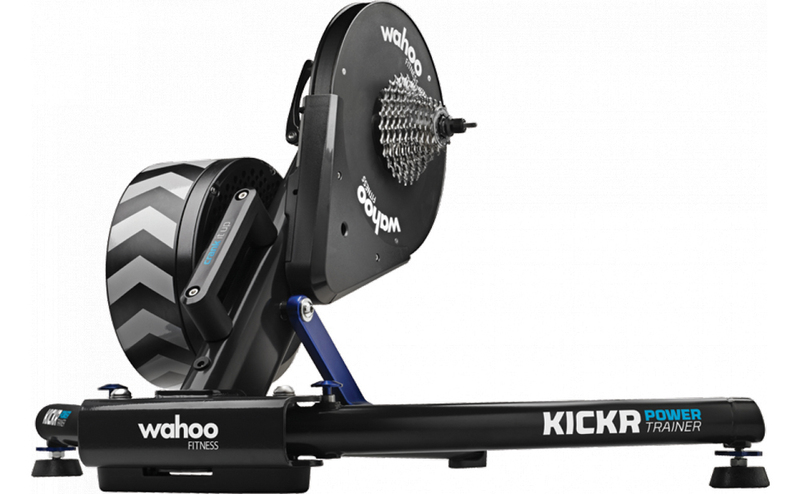 Wahoo Fitness’s KICKR trainer is one of a new generation of smart trainers, delivering reams of data but also able to automatically adjust resistance to mimic real roads. Similarly, the Tacx i-Genius, released last year, is one of the first trainers to simulate the entire cycling experience in virtual reality, right down to steering the bike. Tacx, along with brands such as BKOOL, has created an entirely computer-generated world, with a digital avatar in place of the rider. 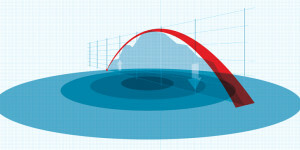 Other major players such as CycleOps and Elite have similarly created virtual riding realities, but largely employing live action footage. While that may all just seem like a glorified cycling version of Guitar Hero, the hardware involved is surprisingly advanced. of these designs follow in the wake of the likes of LeMond and Wahoo Fitness. 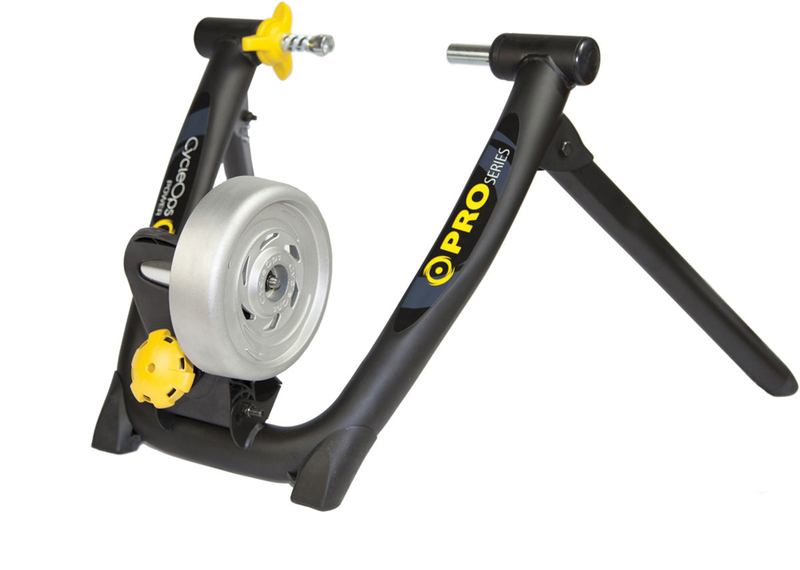 The Wahoo KICKR, Hawkins explains, takes full advantage of the direct mounting system: ‘Using a very large electromagnet in combination with the direct mounting means that we can generate high torque at very low speed, allowing us to accurately simulate riding up a steep hill in a low gear.’ This is a challenge to other designs, Hawkins argues. ‘Other trainers generally cannot generate a high load at low speed and instead report a falsely low speed to generate an equivalent load to the incline you are being presented,’ he says. 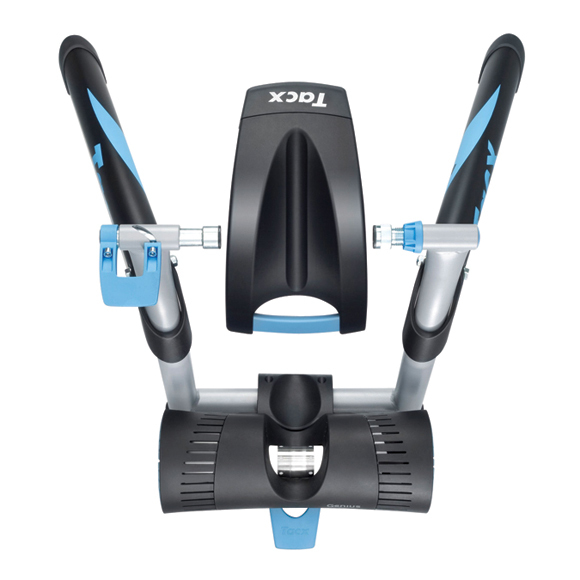 Creating a realistic feel goes even further with some hardware – Tacx uses a motor drive to actually spin the wheel during simulated downhill segments. But as much as the hardware is creating very impressive opportunities for more realistic riding, developing software that is capable of making the most of it is where the real challenge now lies. The development of hardware that can alter resistance automatically has led to several avenues of interactivity for turbo training. Some have chosen the route of videogame-like simulations, while others prefer a simpler approach. One of the lowest-tech, but most successful, solutions to interactive training has been the Sufferfest videos. The premise is simple, the videos offer training plans while showing excerpts of races to get your competitive hormones flowing. Sufferfest founder David McQuillen says, ‘Our approach is that we keep you on your trainer by entertaining you. Too many cyclists get bored on the trainer and can’t find the motivation to work hard’. Sufferfest claims that the visual stimulus can help performance. McQuillen says, ‘Our workouts are designed by elite cycling coaches like Dig Deep Coaching and Apex’s Neal Henderson, who coaches Taylor Phinney, Rohan Dennis and Evelyn Stevens to name a few. 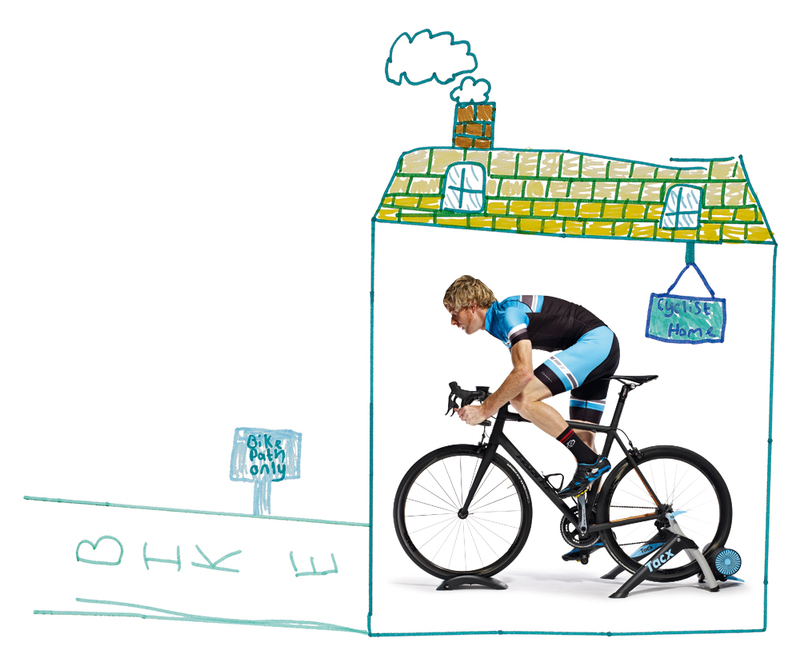 The result is that our customers regularly report 8-10% increases in their functional threshold power.’ But despite recently appealing to the UN to recognise Sufferlandria as a country, Sufferfest shows no sign of letting users enter a Sufferlandrian virtual world where their efforts could affect, and be affected by, their surroundings. For that level of immersion, we have to look to the other technology currently on offer. In terms of virtual reality, there remains a rift between complete artificial computer-generated courses and live-action video based systems. While Tacx and BKOOL side for the former, for some, videogame-like virtual reality is slightly at odds with the gritty nature of training. ‘We always wanted to make a product that was for the serious cyclist, that focused on real videos rather than game-style virtual reality,’ says Elite’s Mercante. Whether they’re fully virtual experience or live-action based, one of the crucial distinctions between different systems is how easily we are able to set the systems up and actually use them. With tablet computers and phones generally being Bluetooth compatible, third party apps communicating directly with a turbo are proving increasingly alluring compared to some PC solutions that require a sprawling array of wires. Wahoo lives by that principle, and its trainer is primarily compatible with Apple devices at present, but increasingly third party apps are emerging to make the most of the impressive level of hardware on offer. Communication between devices is not just a problem for Kinomap either, and is being hindered somewhat by the battle for dominance between two competing technologies. Rival wireless sensors Bluetooth 4.0 and ANT+ are the VHS and Betamax (or for the younger generation – PS4 and Xbox One) of the bike tech world. Even within each format, different languages of data are still causing a divide between different hardware and software. 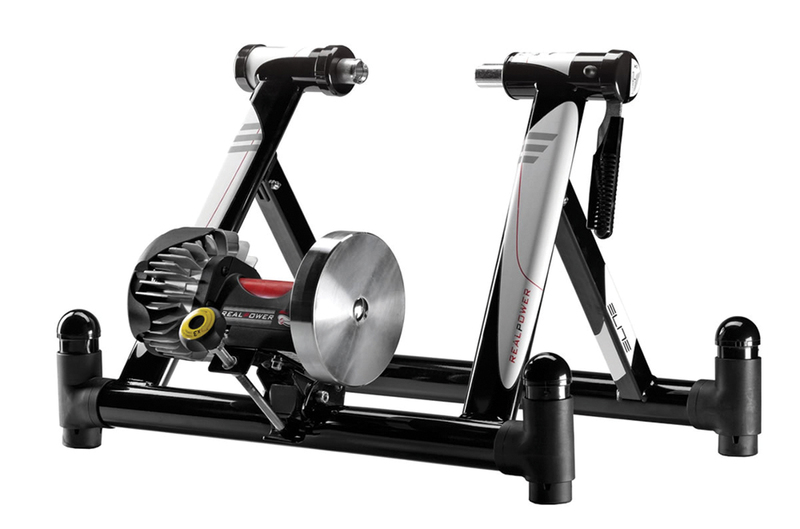 Mercante at Elite explains, ‘One thing that ANT+ is working on – and we’re part of the team – is to generate a protocol for turbo trainers that would then become the industry standard. If indoor training does find its common ground, one of the most fertile avenues of training is likely to be tapping into our competitive impulses, and no one knows more about that than Strava, which has become a unifying field of combat for many cyclists. ‘Many athletes are using Strava not just to document their rides but as a training partner too, to help them improve their performance and have a little bit of fun while they’re training,’ says Michael Oldenburg of Strava. 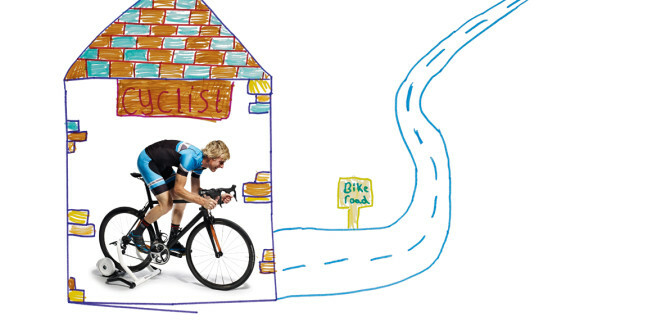 Consequently, Strava now offers Sufferfest videos for free to its premium members. More intriguingly it has begun digitising its segments, to be completed on a turbo trainer. The PowerBeam comes ANT+ or Bluetooth compatible. Because the strain gauges are built into the resistance beam, it offers highly accurate power figures. With a magnetic powder resistance unit, the RealPower can simulate 20% inclines, and comes complete with Elite’s video interface system to impressively simulate real-world riding. The i-Genius uses a motor to drive your wheel forward to simulate downhill sections. It can be tricky to set up but has superb software. As a direct mount unit, this can generate high resistance at low speeds and accurately simulate conditions and gradient. It’s primarily designed for Apple products but is also PC compatible.